The sensor can be mounted into a thermowell or directly into a process with the use of a spring loaded or compression process fitting. The assembly can be supplied with or without a transmitter. Transmitters convert the resistance signal from the RTD to a linear analog or digital output (commonly 4-20 mA). This signal reduces potential inaccuracies by negating the need for compensating output lead wires. The assembly has electrical approvals for explosion proof hazardous locations, ingress protection and general purpose areas. RTD diameters range from 0.125 inch to 0.250 inch and 6 mm. Standard diameters are 0.125 inch or 0.250 inch and 6 mm. An external spring-loaded fitting or a compression fitting can be provided for mounting directly into a process or thermowell. 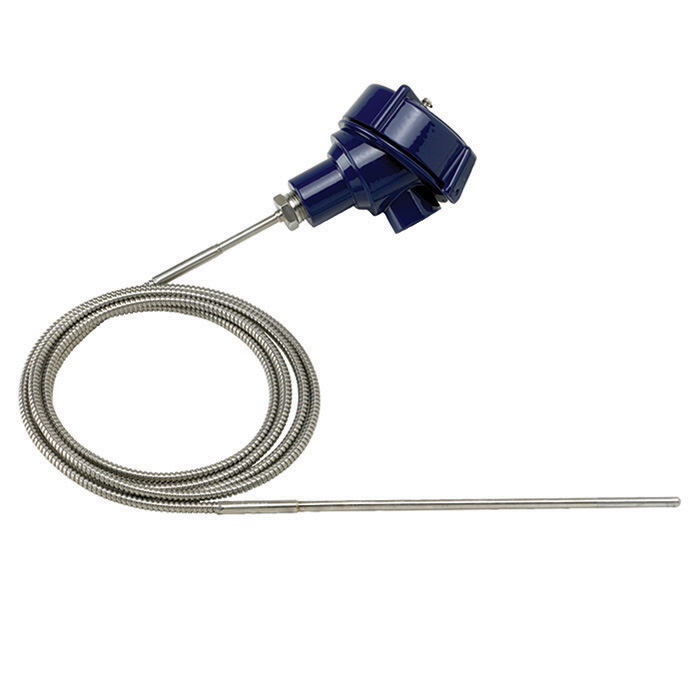 TR15 series resistance temperature detectors (RTDs) are remote mounted industrial assemblies supplied with or without a temperature transmitter. They are designed for applications where direct mounting is inaccessible, where there is excessive radiated or conducted heat, or applications where high vibrations exist. An extensive range of elements, connection heads, insertion lengths and process connections can be individually selected for the appropriate application. Replacement sensors can also be configured for this model. RTDs in this series can be inserted directly into a process or combined with a variety of thermowell designs. What minimum insertion lengths are recommended, as a rough guide, for multipart thermowells (from tubing) in order to minimise the heat dissipation error?